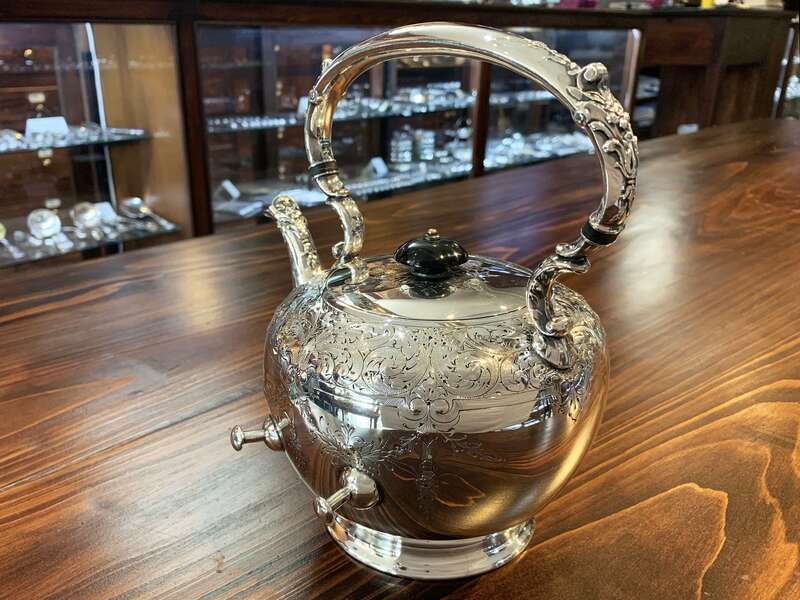 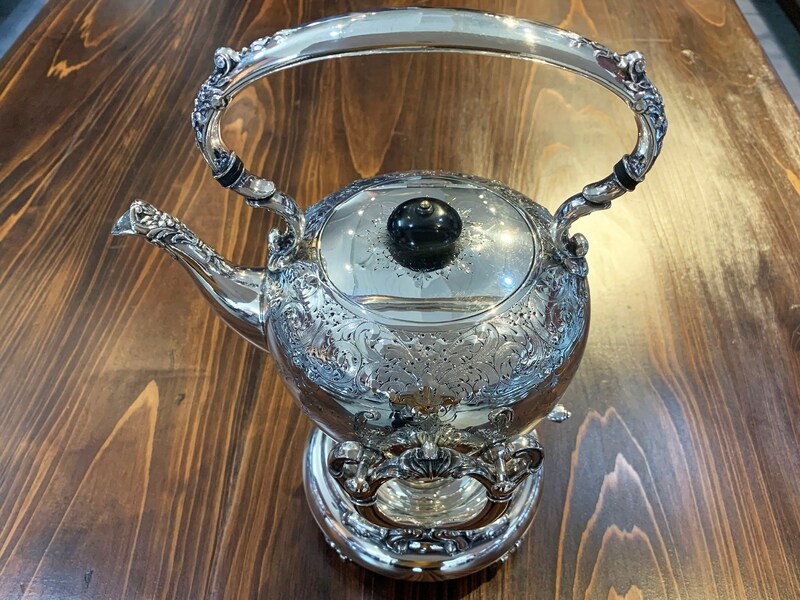 Silverplate Hot Water Kettle by Barbour Silver Co.
Elevate your afternoon tea with this antique silverplate hot water kettle. 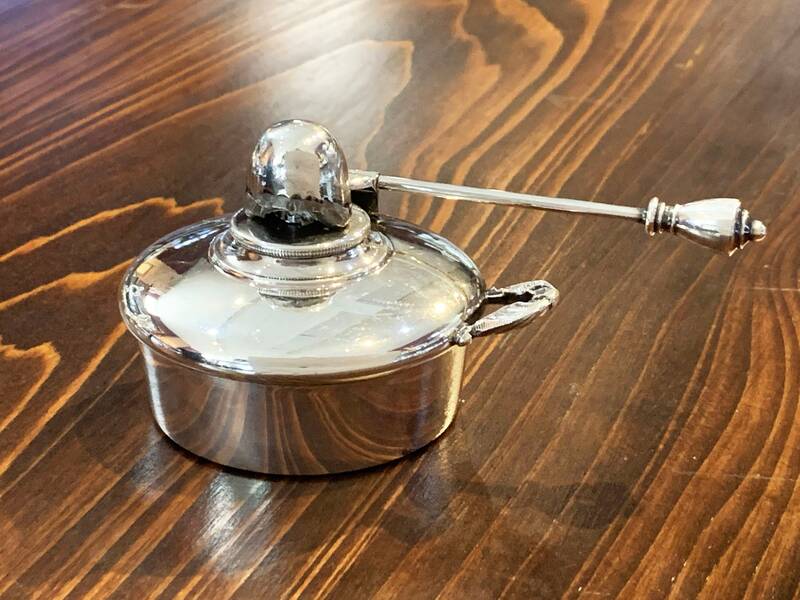 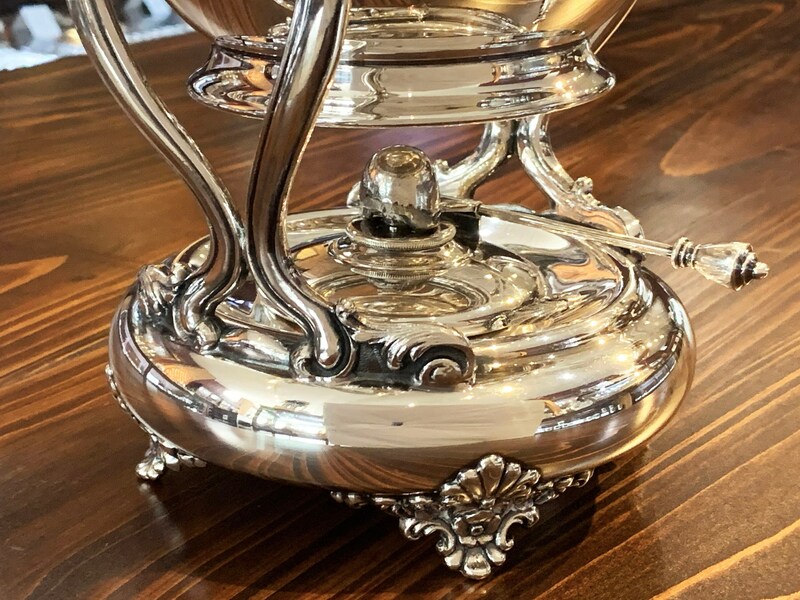 Crafted in the early 1900's by Barbour Silver Co., this piece makes a showstopping addition to any table. 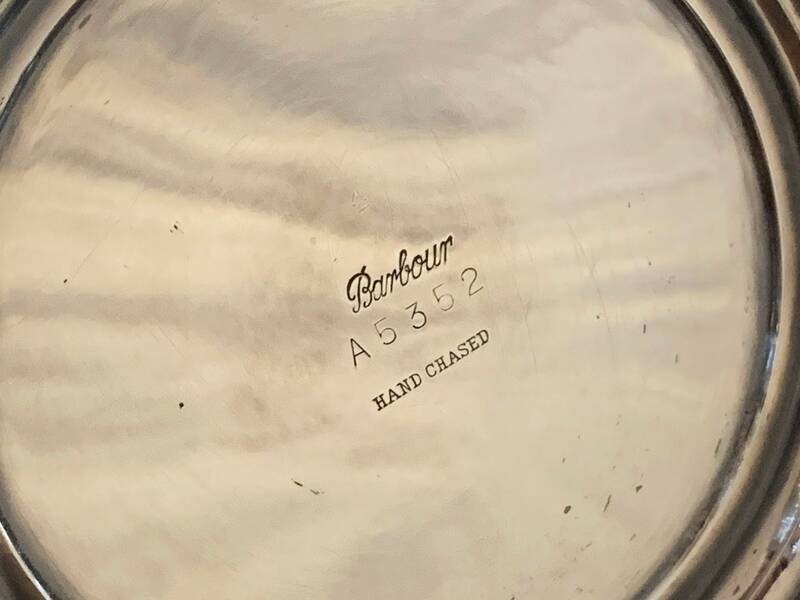 Barbour Silver Co. was founded in Hartford, Connecticut in 1892 by Samuel L. Barbour, Isaac J. Steane and J.L. 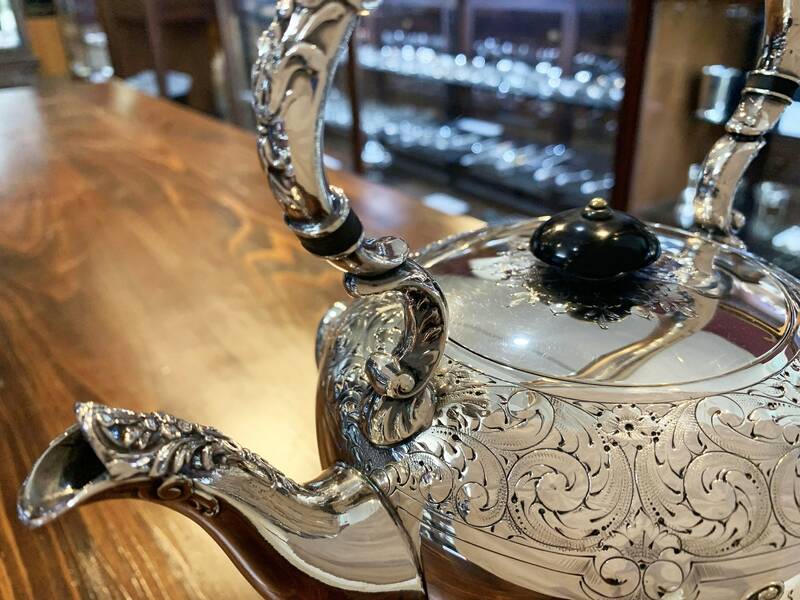 Daigleish. 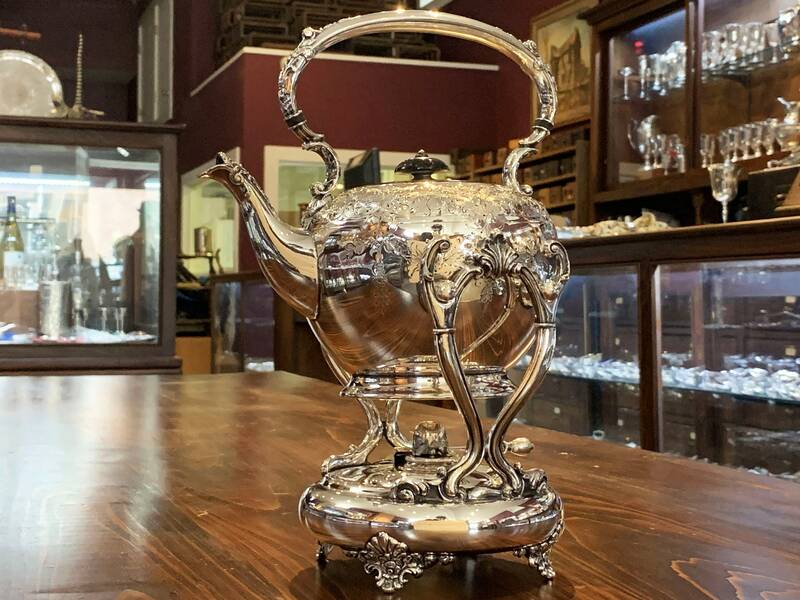 The company acquired machinery from Hartford Silver Plate Co. in 1893. 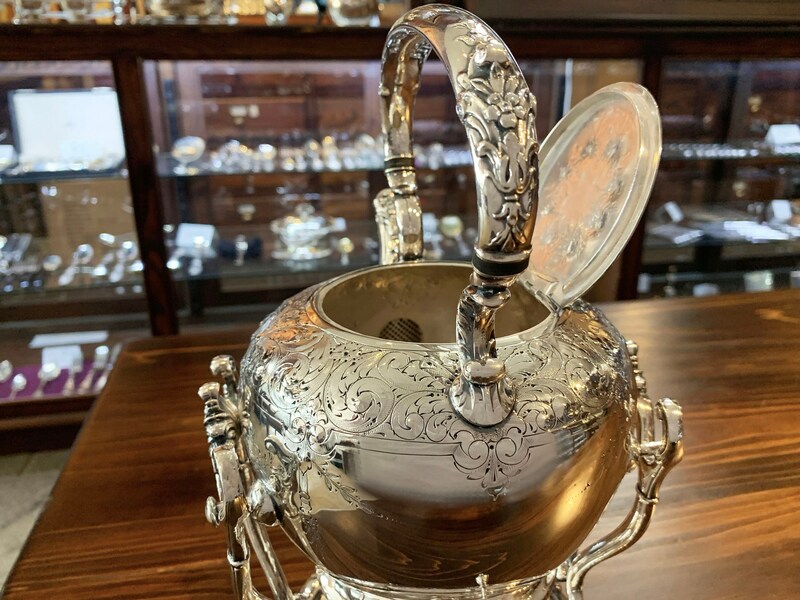 One of the first companies to become part of the International Silver Co. in 1898, Barbour Silver Co. remained in operation until 1931. 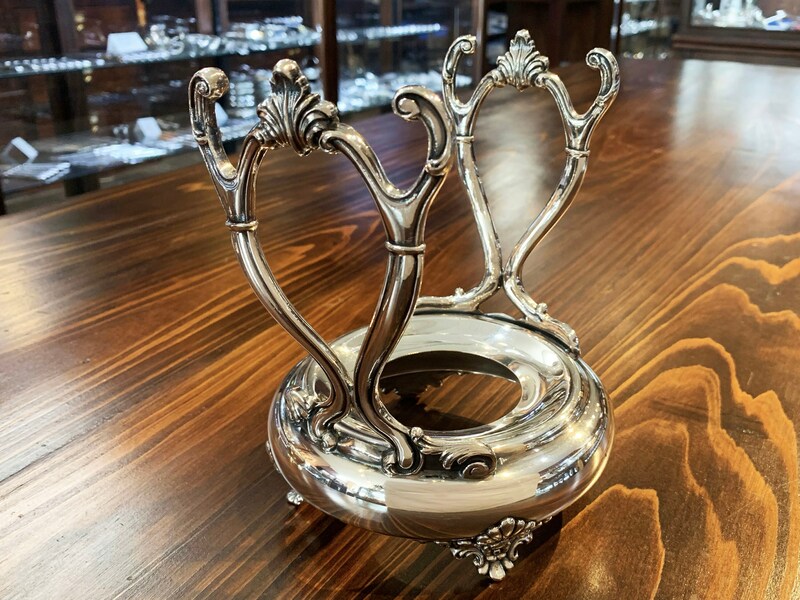 They are remembered today for their exceptional hand chased sterling and silverplate holloware.